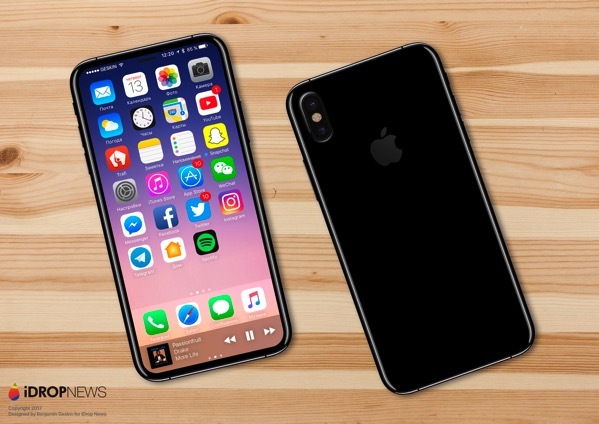 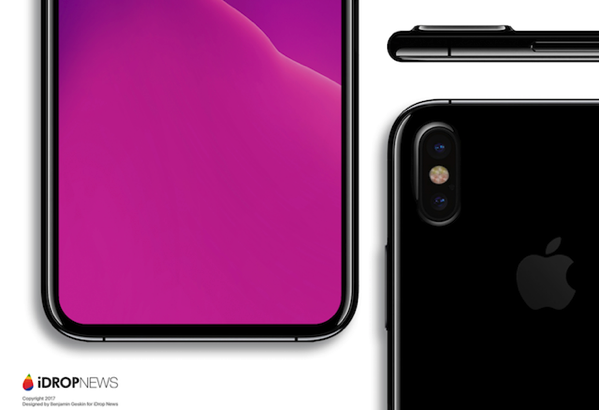 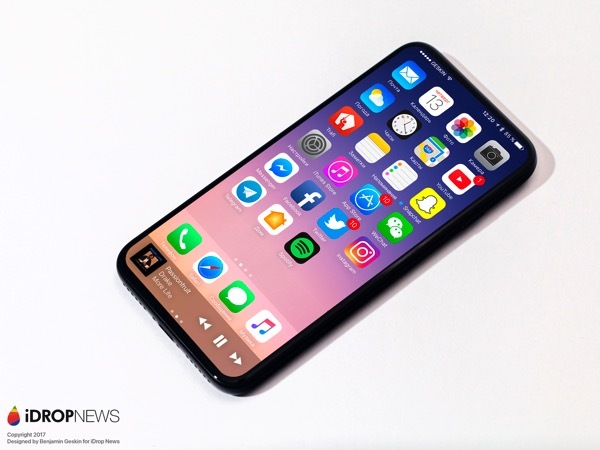 Based on information received from an anonymous source at Foxconn, Apple’s leading iPhone manufacturing partner, Benjamin Geskin has generated some new ‘iPhone 8’ concept images, and there results are quite amazing (via iDropNews). 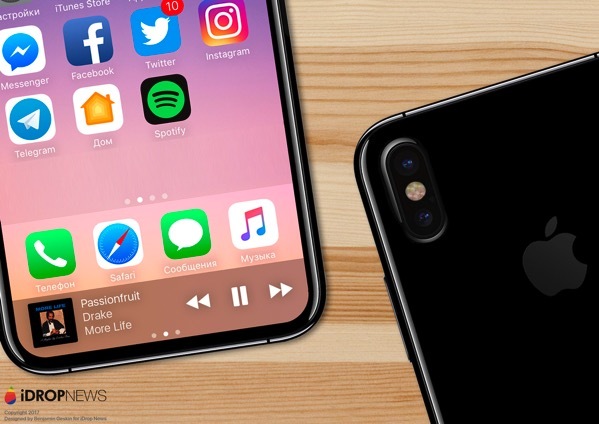 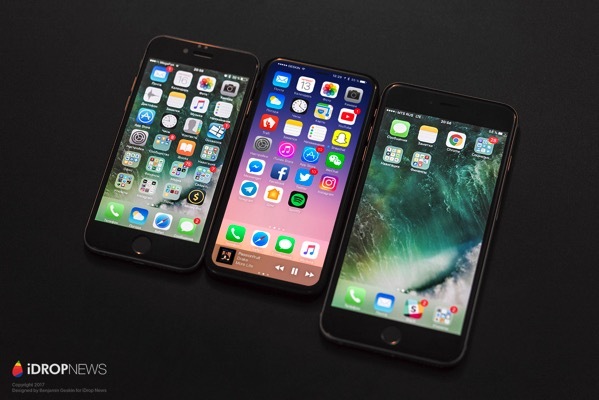 The informant said that there are two iPhone 8 prototypes currently being tested. 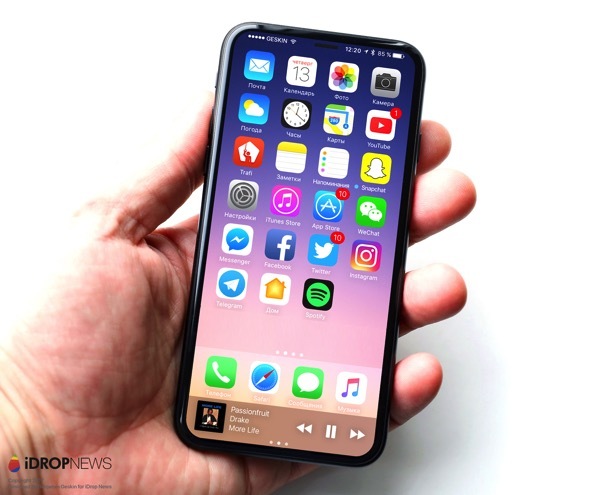 One model features Touch ID on the rear, while the second one features Touch ID underneath the OLED display. 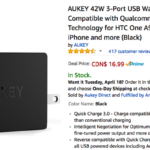 Large power button featuring two points of contact.